Do you want to train to be a Legal Observer to work with Green and Black Cross, monitoring the police and reassuring activists of their rights at protests such as DSEI? We are organising a training to be run by GBC on August 27th: more information here. 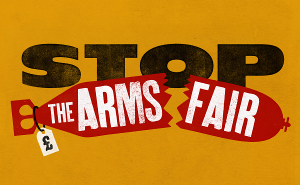 Please email info(at)stopthearmsfair*org*uk to book a place. Do you want to offer support to anyone who might be arrested, by learning about police station support and joining a team? More on police station support. Do you want to offer support to folk who have been arrested and charged, and are being tried in the courts? More on court support.